There must be a coding trick I can use. When you need to repeat something in code, you can use a LOOP! Fill the pail with sand. Dump the sand on our spot. Girls Who Code – Organization dedicated to closing the gender gap in technology. Click to find out what programs are available in your area – clubs, immersion programs in tech companies, and more. 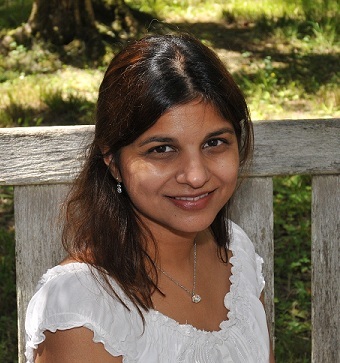 Hour of Code – try out one of the programming activities. Game and Activity Ideas using coding constructs for the toddler set by Vicki and Babies to Bookworms. She’s done wonderful job! What’s not to love. A book that can breakdown coding concepts in a funny, engaging way with amazing colorful illustrations! Be still my beating heart. 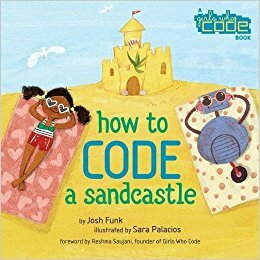 I love the way the author has broken down the building of a sandcastle into clear and simple steps and is able to connect it to fundamental concepts in coding – sequence, loops, if-then-else. While coding in itself can be dry, the author and illustrator have infused plenty of humor along the way. Gotta love the ending which is the beauty of code and robotics. 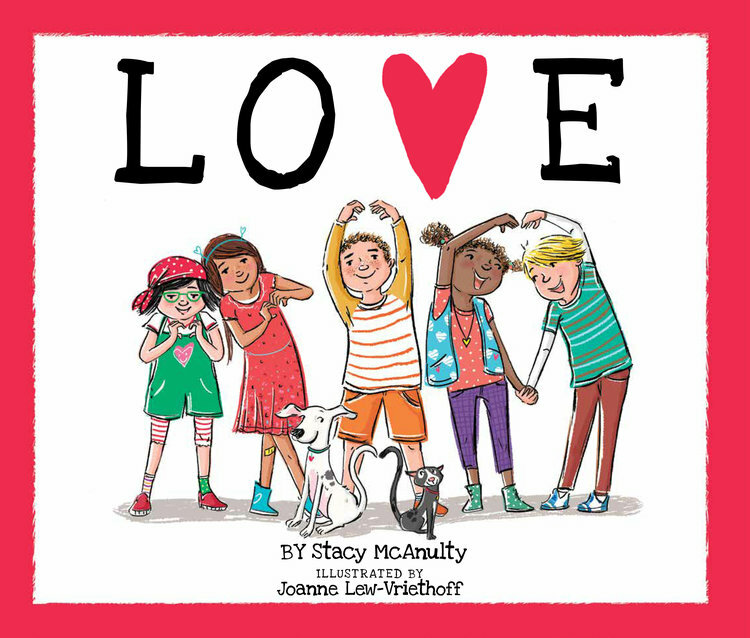 This book is a must for any classroom, school, and home library! Be on the lookout for How to Code a Rollercoaster! I’m so excited to share this lovely book. It seemed like the perfect choice since Random Acts of Kindness (RAK) week is coming up February 11-17, 2018. Making cookies for Mr. Rinaldi, who lives alone. Have kids do a Random Act of Kindness. Here is a link to my past blog post to get some ideas. There are tons of other resources on the Internet. I recommend searching Pinterest. Here is a link to get you started. What’s not to love. The succinct text, the musings of a young child, cheery illustrations, with a message of empathy and compassion. 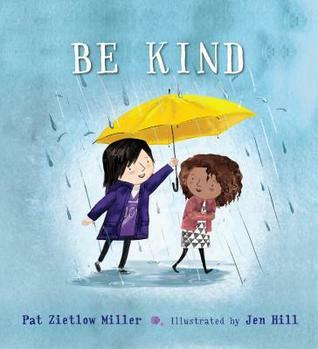 A charming book which shows that kindness can be done in the simplest ways with the potential to grow. The book can be used as a springboard for discussions at home and school about kindness and can be extended with a kindness activity. 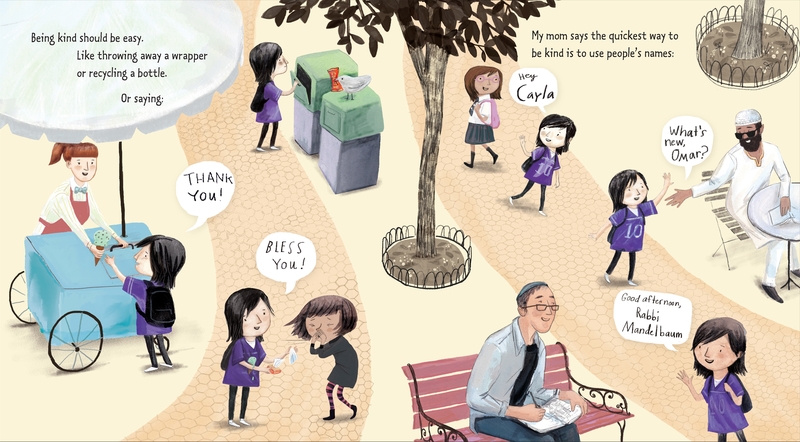 Also, check out this adorable trailer where kids answer questions about kindness. Hope your summer has been relaxing and enjoyable. Can’t believe kids’ school starts in less than three weeks. In light of that I will be reviewing fiction and non-fiction books this month that can be used in classrooms. Enjoy! The Classroom Bookshelf – Lessons on written responses, visual narratives, finding rhymes, the hydrologic cycle, drama, and more are available for grades PreK-5. I love this book for oh so many reasons. This is a MUST HAVE for any home or school library. I predict this book will become a mainstay. Here are my reasons why. 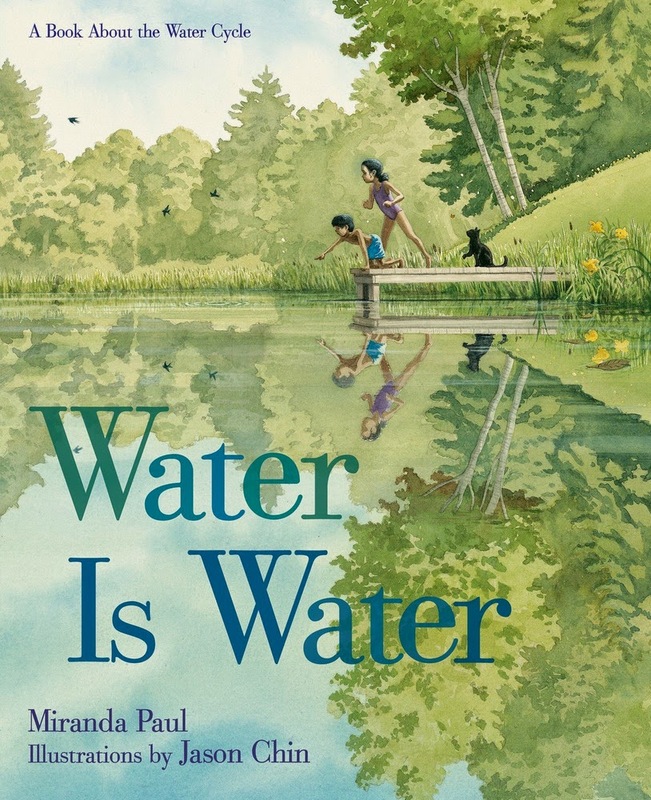 – It’s creative non-fiction book about the water cycle!! – And it’s in rhyme with great page-turns. 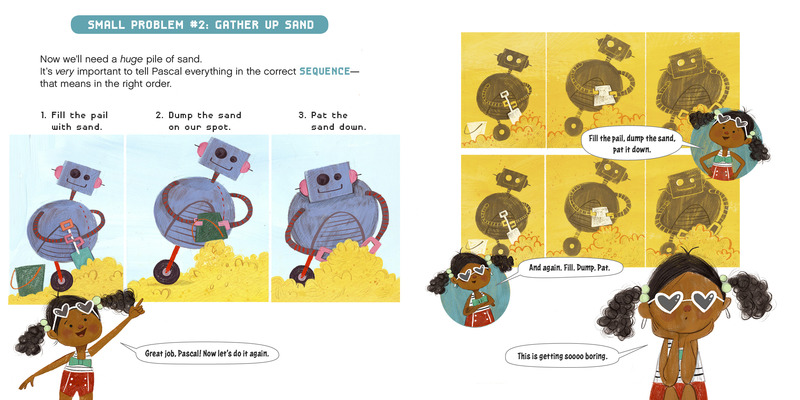 Picture book writers pay attention, the “unless …” is a great cliff-hanger to get the reader to turn the page. – The watercolor and gouche illustrations are gorgeous and beautifully capture the wholesome and simplicity of kids playing outdoors. (see more inside pages here) The art reminds me of growing up in rural Pennsylvania. I can almost smell the fresh air of spring or the icy chill of winter as I look at the illustrations. – Aurally pleasing rhyme with kid engaging visuals – a perfect combination to enrapture young minds. – Extensive backmatter to complement lesson plans on the water cycle. Disclosure: I received an advanced reader copy of this book from the publisher Roaring Brook Press. This review nevertheless reflects my own honest opinion about the book.